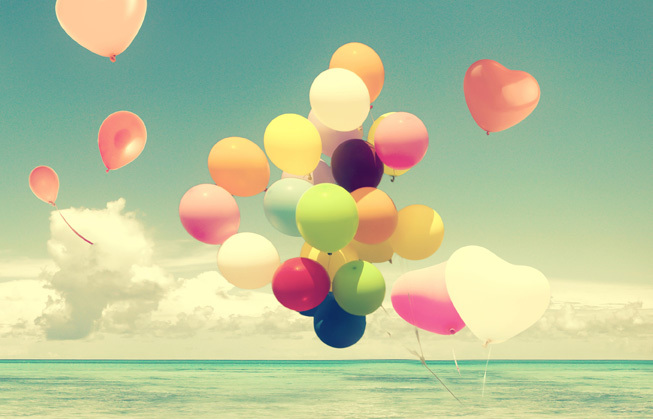 If you’ve been looking to launch your community site for a while but are still not ready to invest, here are 10 beautiful and free BuddyPress themes to choose from. 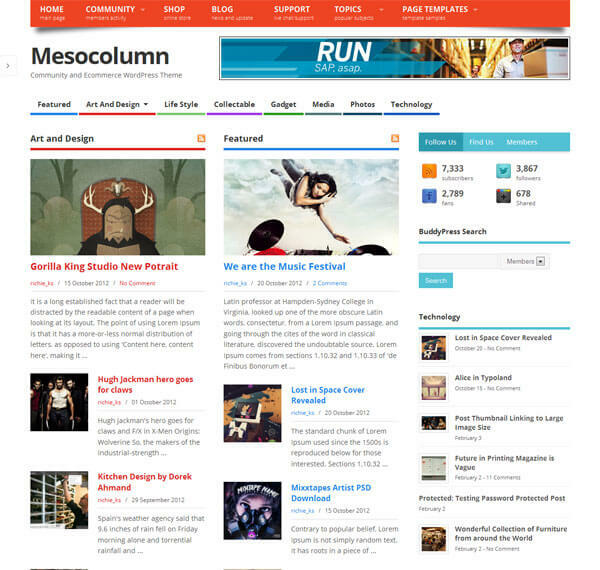 Mesocolumn is an impressive WordPress theme that supports BuddyPress and WooCommerce. 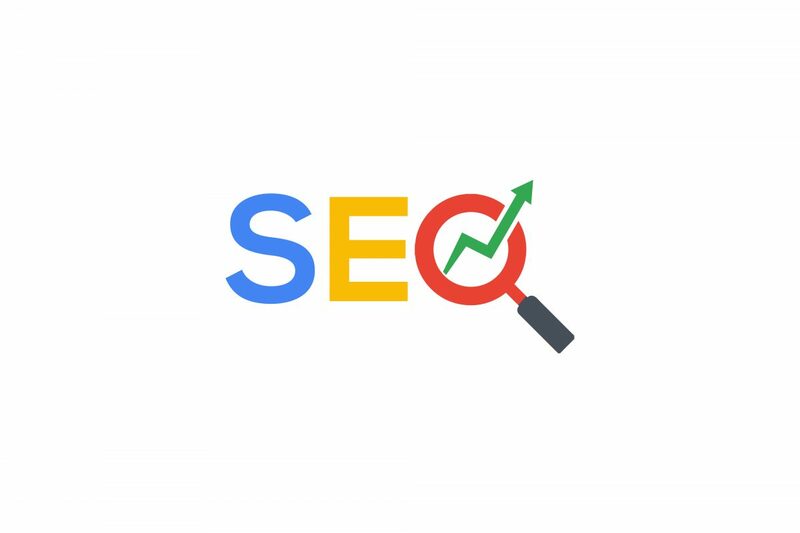 So you can use it to create community and eCommerce sites. You can also build other types of sites with it. It looks great across all mobile and tablet devices and offers a ton of customization options. Mixed is a multipurpose WordPress theme that can be used to create different kinds of sites including community and forum sites. It’s fully responsive and supports custom post types, fields, menus, and dynamic widgets. 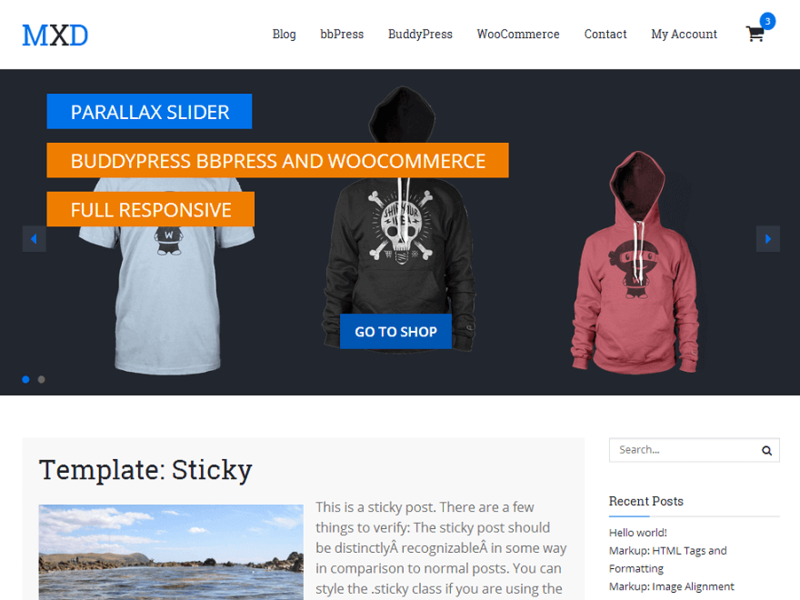 Evolve is another multipurpose responsive WordPress theme that offers a host of features. 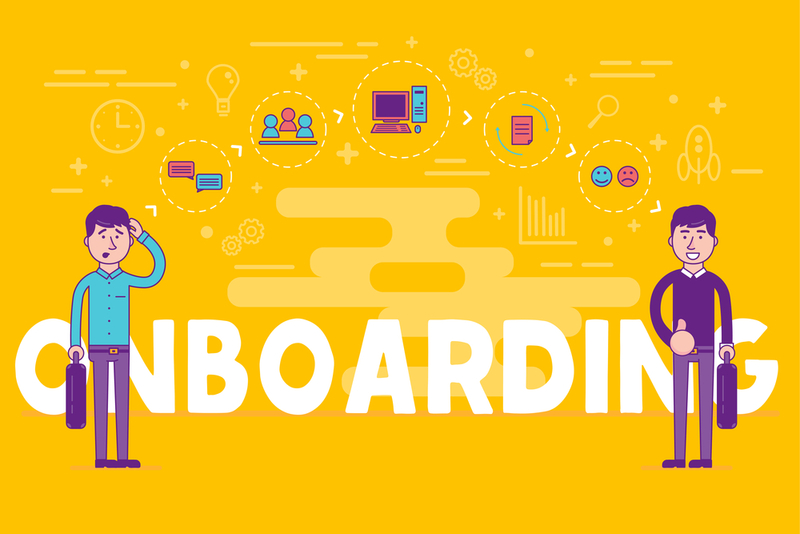 It comes bundled with a lot of customization and branding options like adding your logo, choosing different colors, and uploading a header image. You can easily add your personality to this theme. It has 798,742 downloads till date and an average rating of 4.5. 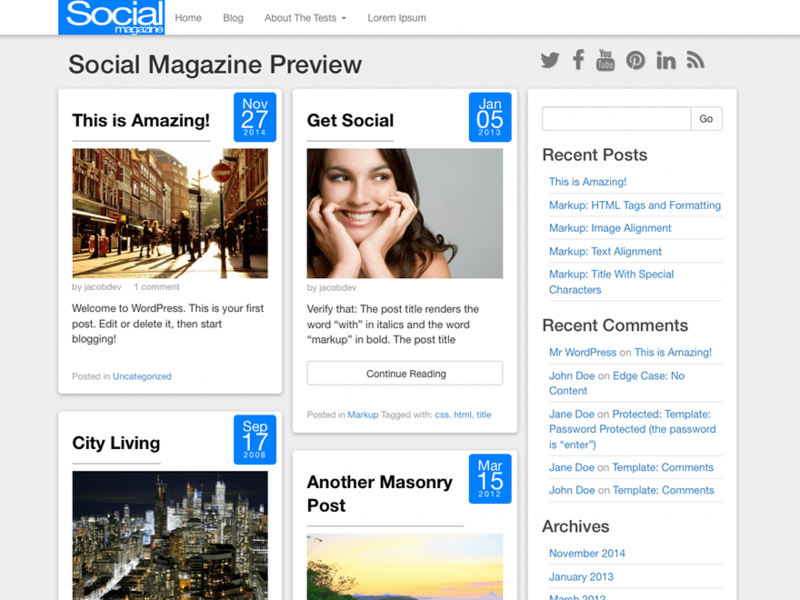 Social Magazine is a customizable and responsive WordPress theme that supports BuddyPress. 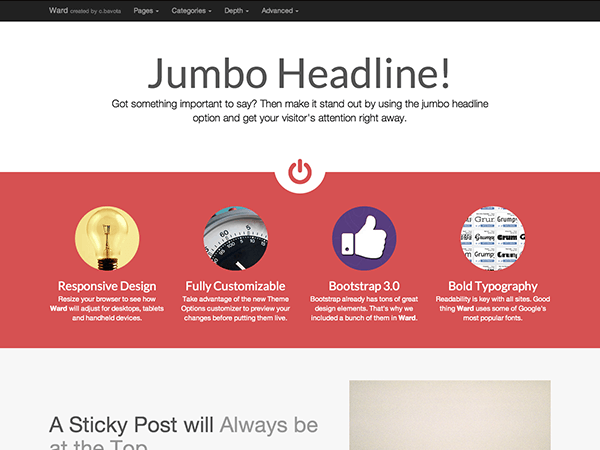 It offers a neat masonry style blog layout and comes with 4 widget areas. 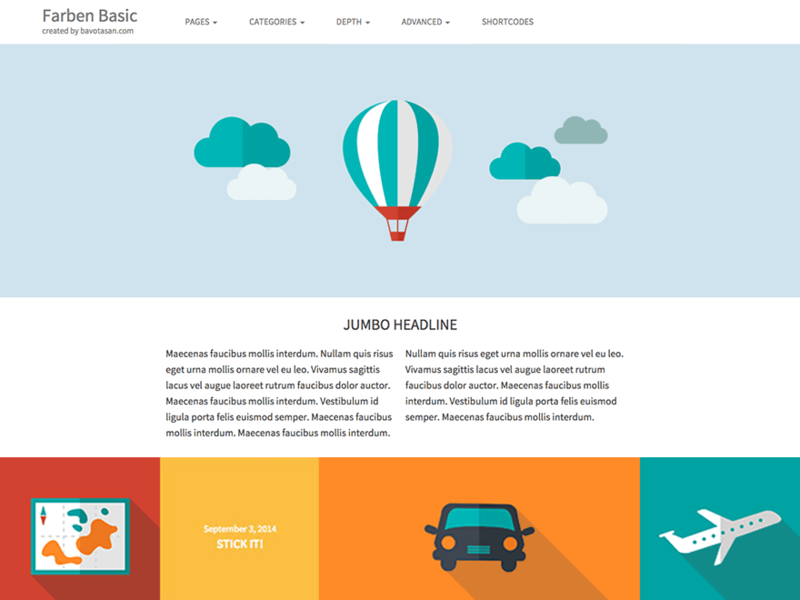 Farben Basic is a lively and responsive WordPress theme with support for BuddyPress. It’s a simple theme that looks great. 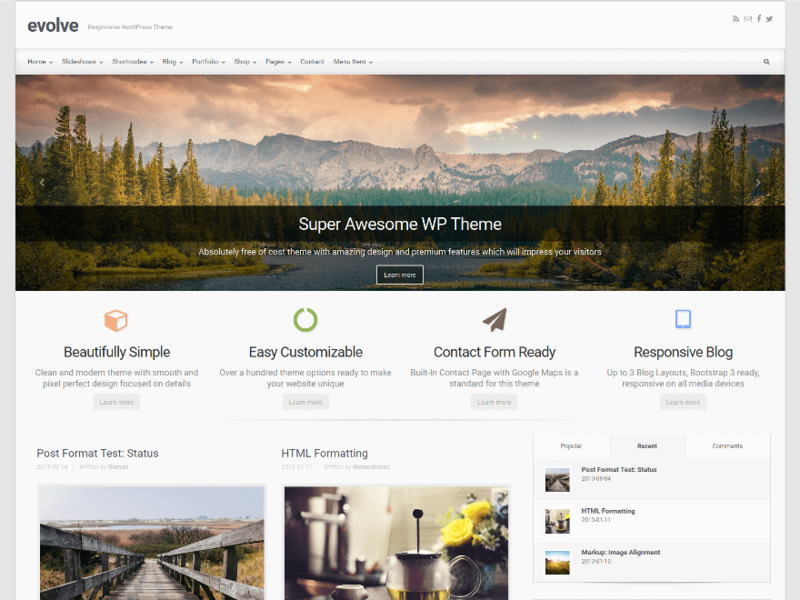 Ward is another lightweight and responsive theme that you can use on your BuddyPress site. It has a sleek look and great typography. Quest lets you create a beautiful site using a powerful drag and drop page builder. 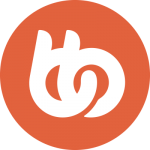 It supports BuddyPress and extends a great browsing experience on all mobile devices. You can customize almost all the elements of your site. 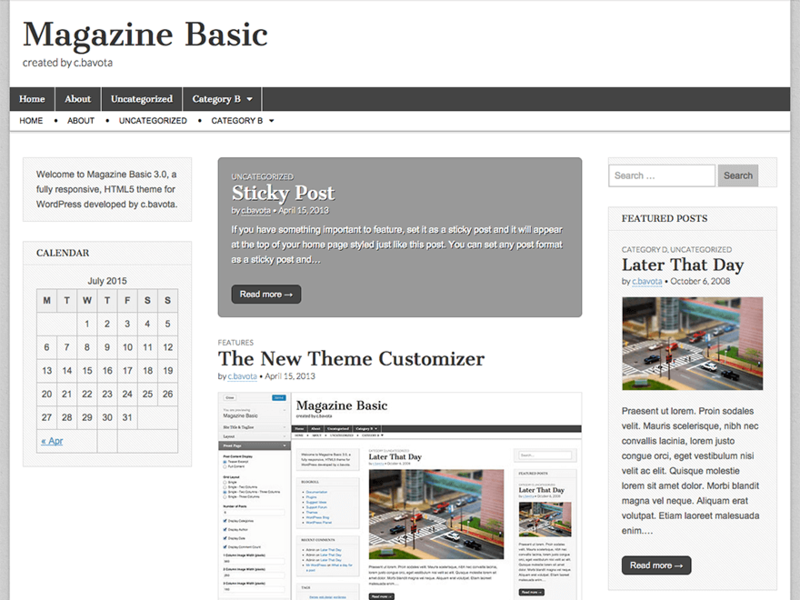 Magazine Basic can be used to create a fully responsive BuddyPress website. It has about 586,666 downloads at the time of writing this post. 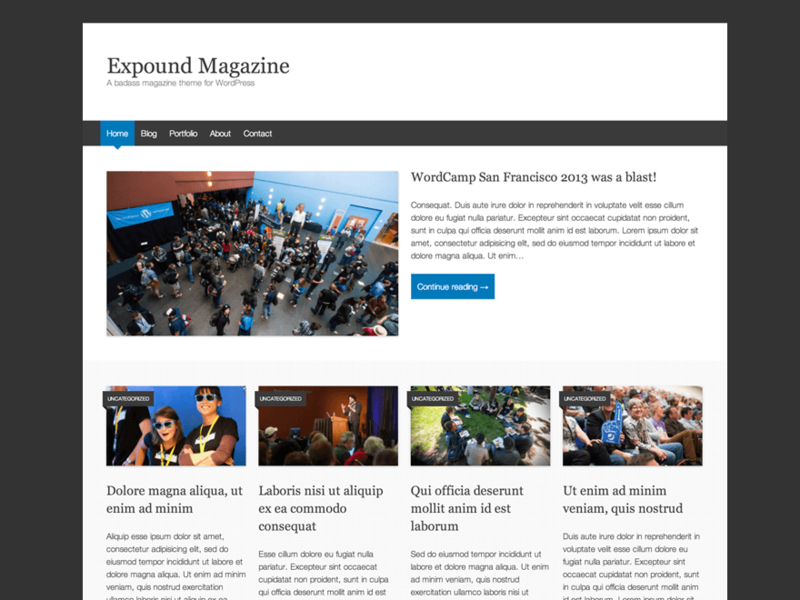 Expound Magazine has a very neat and professional look. 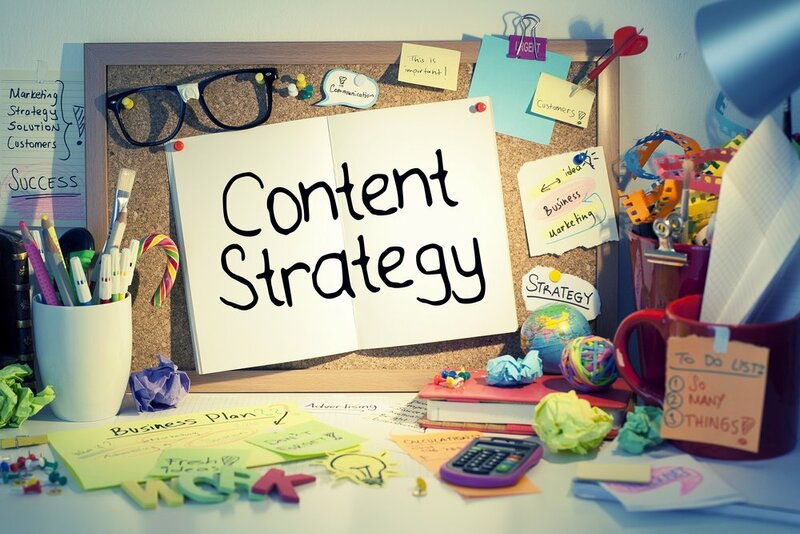 It’s responsive and keeps your site’s content at the center stage. It plays nice with BuddyPress and has about 285,309 downloads till date. 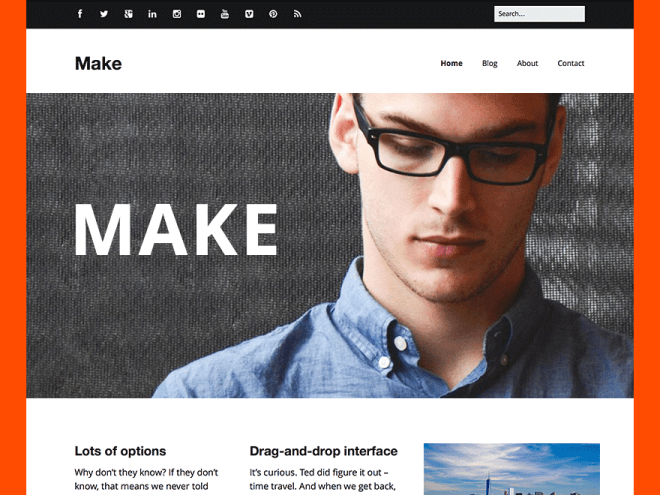 Make is another stellar WordPress theme that works great with BuddyPress. 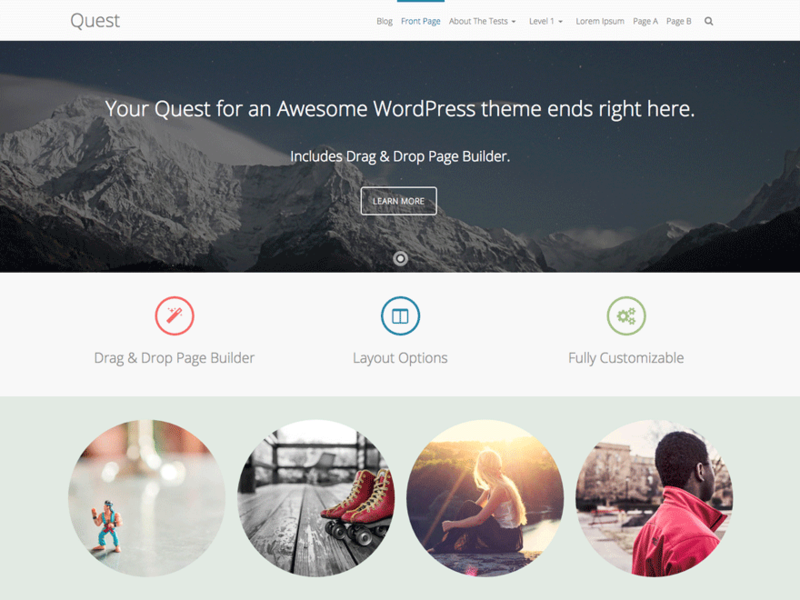 Like Quest, Make also comes with a drag and drop page builder. It’s fully responsive, so you can expect your site to offer seamless browsing experiences on mobile and tablet devices. If you’re ready to step up to a premium theme, you must check out Boss. It’s the only-one-you’ll-ever-need kind of BuddyPress theme. I’ll be updating this list based on any interesting suggestions that you might have. 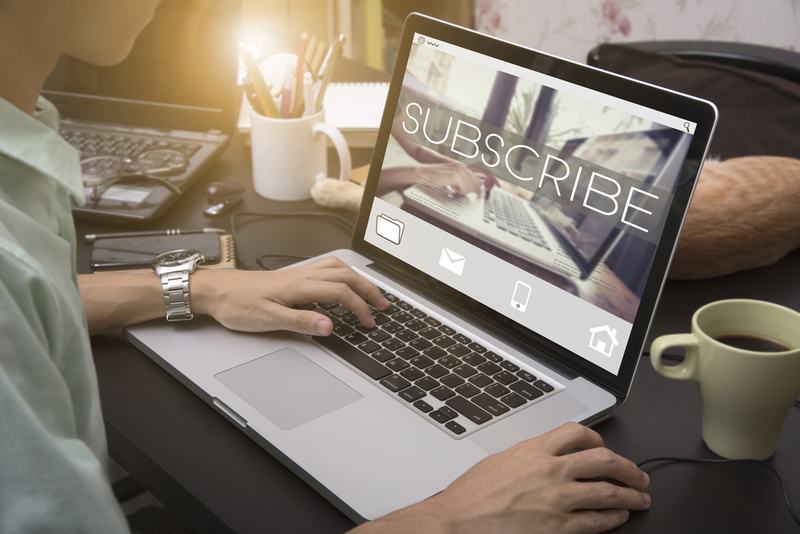 So if you know of some other cool free BuddyPress themes that can make it to this list, do let me know in the comments!